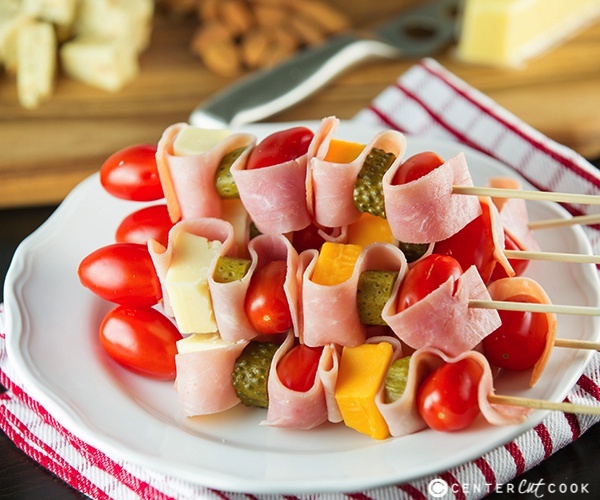 This recipe for Cheddar and Ham Skewers made with Sargento Tastings is perfect whether you’re looking for an appetizer to entertain with, or you’re looking for a special crave-worthy afternoon snack. You guys know I have an infatuation with cheese, so imagine the huge grin that was on my face when a package of Sargento’s brand new Tastings arrived on my door step. Cheese, delivered to my door? Dreams do come true! Sargetno’s new Tastings come in eight different varieties. If you are like me, nothing makes your heart swoon more than a variety of cheese to indulge in. If you asked me to pinpoint which Sargento Tastings option is my favorite, I don’t think I could give you a clear answer. I adored the Bruschetta Jack and the Fiesta Pepper Jack and declared those two my favorites… until I opened the Aged Wisconsin Cheddar and the Aged Vermont White Cheddar, and then I couldn’t decide. There was something to love about every single option which is why these Tastings are so perfect for everything from entertaining to casual snacking. Each of the Sargento Tastings are priced around $2.69 and they weigh anywhere from 3.25 to 3.95 ounces. 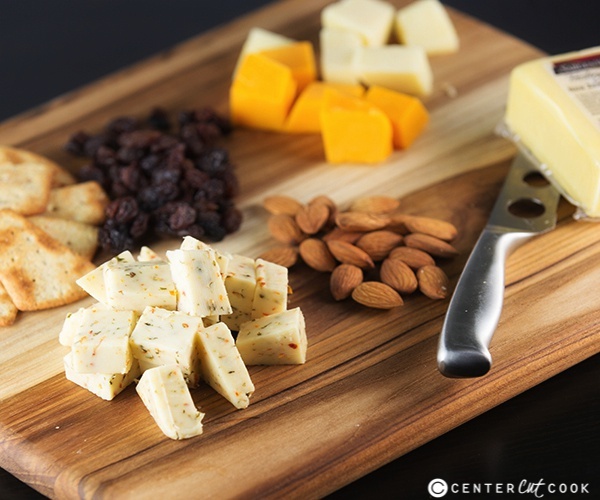 When you are looking for a quick indulgent snack, try pairing one of the new Sargento Tastings like the Aged Wisconsin Cheddar with some almonds or even sliced apples. Or, try the Parmentino (you are going to love this one, it’s a combo of Parmesan cheese with English Cheddar) with some raisins. For entertaining, alongside a traditional cheese plate, I love to come up with something that’ll get people talking like these super simple Cheddar & Ham Skewers. Look how fun these are! Of course with a variety of Sargento Tastings to choose from, it was difficult to narrow down which cheeses I wanted to use for this creation. In the end I went with the Aged Wisconsin Cheddar and the Aged Vermont White Cheddar. Between the chunks of cheese I skewered grape tomatoes, baby dill pickles, and used a ribbon of ham to layer between. The result is an eye-catching combo that your guests are sure to love. 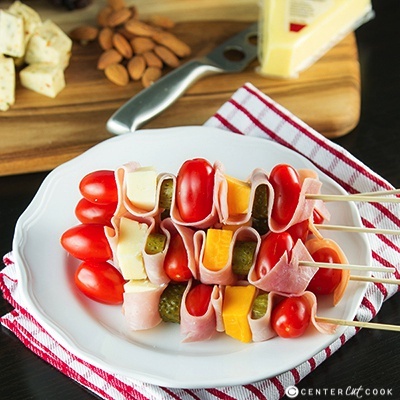 These cute little Cheddar & Ham Skewers are so versatile, and with a variety of Sargento Tastings to choose from the options are endless. You could try alternating any of the eight different cheeses between a variety of fruits or experiment with other veggies. 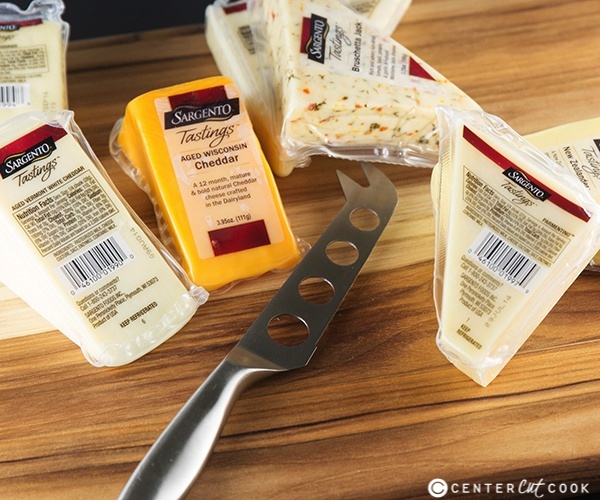 As someone who loves experimenting with different flavor combinations, the Sargento Tastings are perfect for helping me get creative in the kitchen. Now go whip up some of these Cheddar & Ham Skewers. Whether you’re just looking for a quick indulgent snack (you deserve it! ), or you’re entertaining, they are just perfect. Enjoy! Thread a piece of ham on the skewer, then add a tomato. Thread the ham back over the tomato, then add a slice of pickle. Thread the ham back over the pickle then add a chunk of Sargento Tastings Aged Wisconsin Cheddar Cheese. Thread the ham over the cheese, then add another tomato. Thread the ham over the tomato, then add a slice of pickle. Thread the ham over the pickle, then add a slice of Sargento Tastings Aged Vermont White Cheddar Cheese. 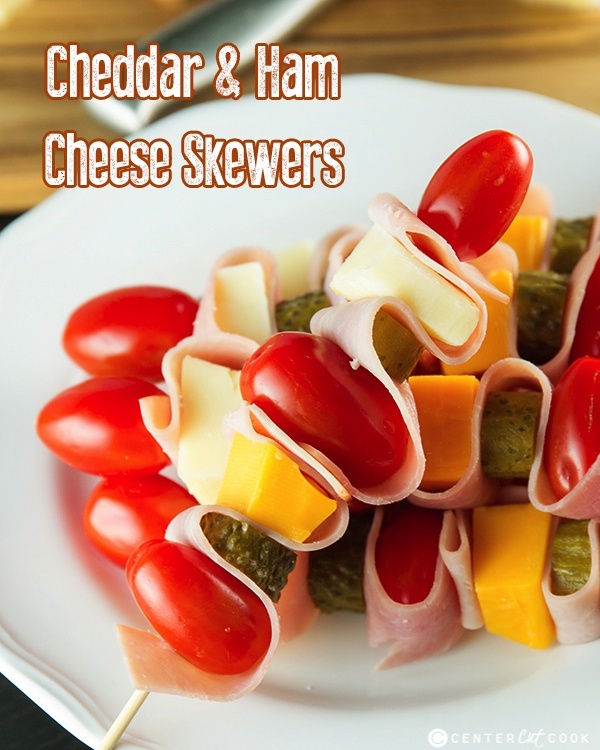 Thread the ham over the cheese, then finish the Cheddar & Ham Skewers with one last tomato. Serves 12, but you can easily adjust to serve more. Assemble up to an hour before serving. Enjoy!